We had a lovely day yesterday in Cambridge catching up with two former members of the teenage choir we used to run, Beyond Blue. 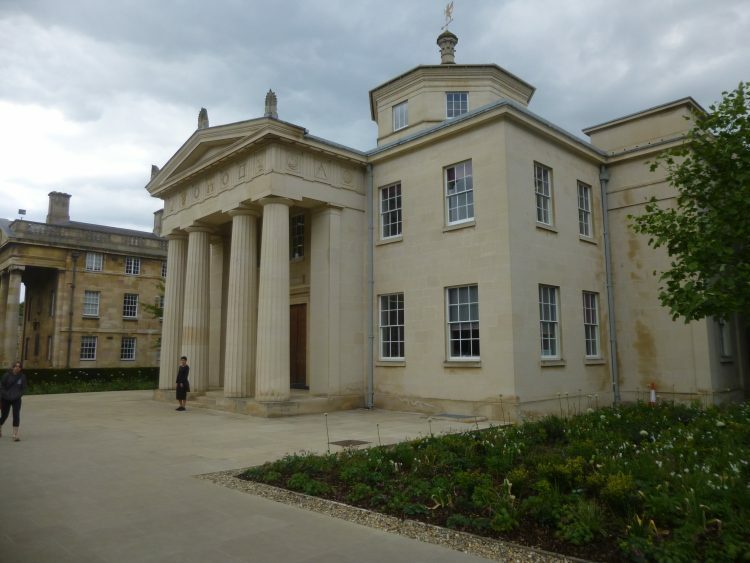 We met up with Bethany Appleton at the Porter’s Lodge of Downing College, where she is reading English. 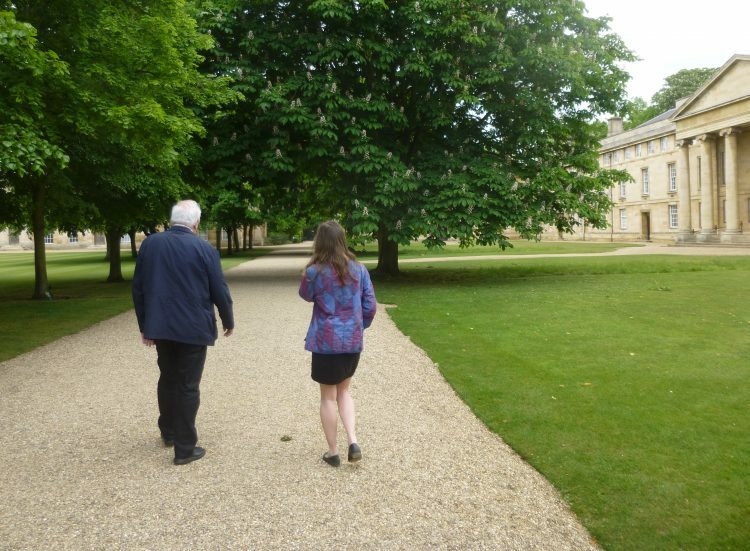 She showed us round the beautiful grounds of her college. Outside, the streets of Cambridge were teeming with people, and the traffic was almost at a standstill. Inside the college grounds it was as if we had been transported to another place entirely. 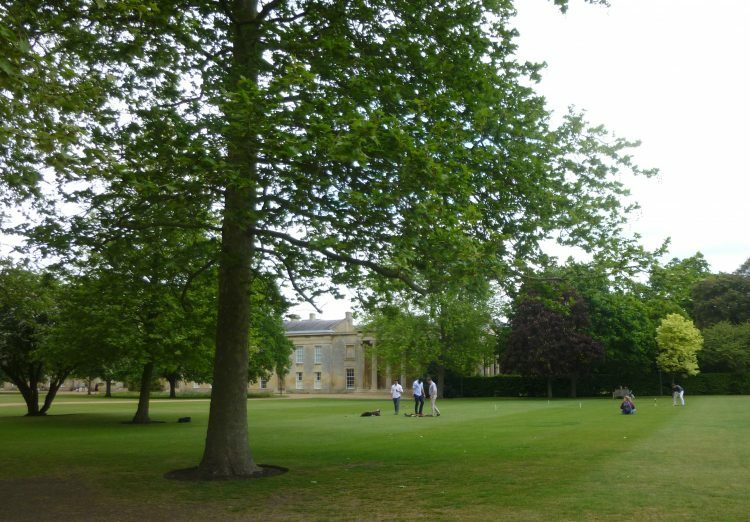 Quietness, mature trees, smooth lawns, a group of students peacefully playing croquet . . .
Then we went out to a coffee shop and had a really good chat, and caught up on all the news! 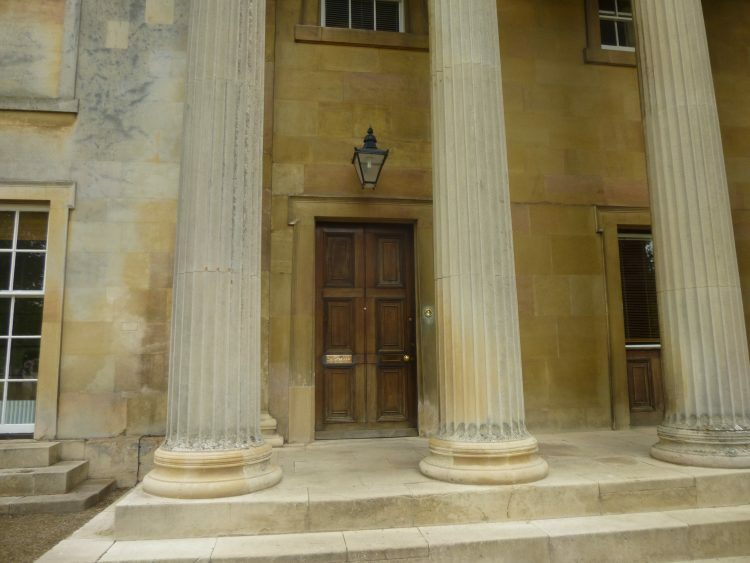 Later, in the evening, we headed to West Road Concert Hall to meet up with Joe Cowie, in his last year at Clare College reading Music, before moving on to the Royal Academy of Music. 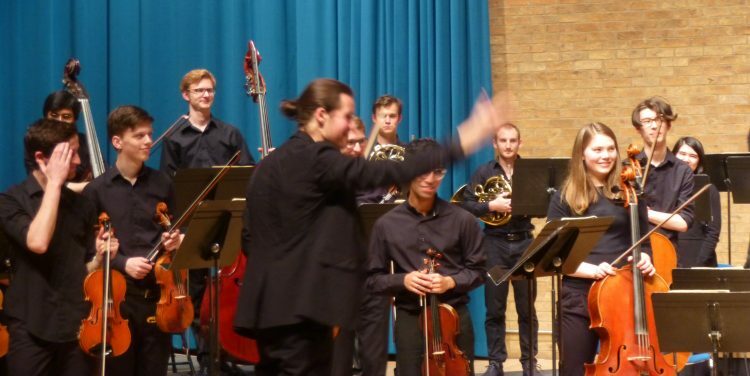 Joe had organised a concert with the Cambridge University Chamber Orchestra, with violinist Thomas Gould. 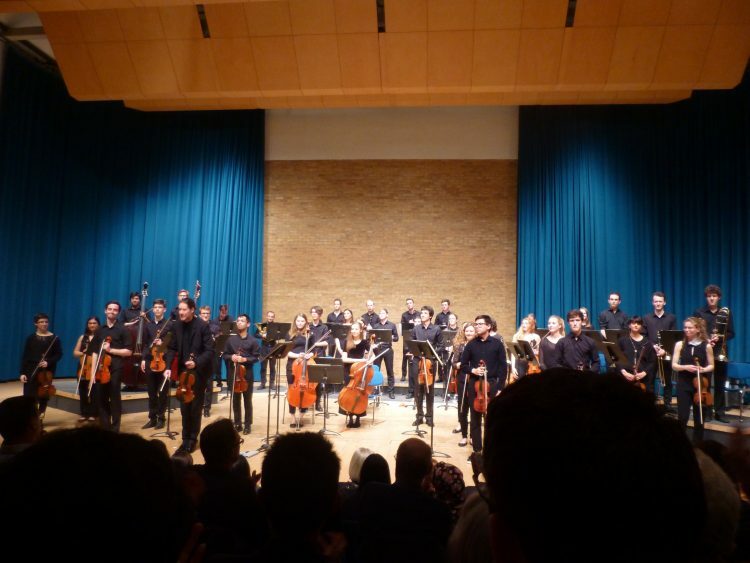 They played a new work called Thread of the Infinite by Joy Lisney, followed by Michael Tippett’s Fantasia Concertante on a Theme of Corelli. The second half was Beethoven’s 6th Symphony, ‘Pastoral’. And it was all played with no conductor! Thomas Gould directed from the leader’s desk, with the full score on an iPad, turning the pages with a clever little foot gadget, as of course he had no hands free with playing at the same time. The whole concert was wonderful. They played with such energy, enthusiasm, and skill. We both commented afterwards that the students were so obviously revelling in what they were doing. 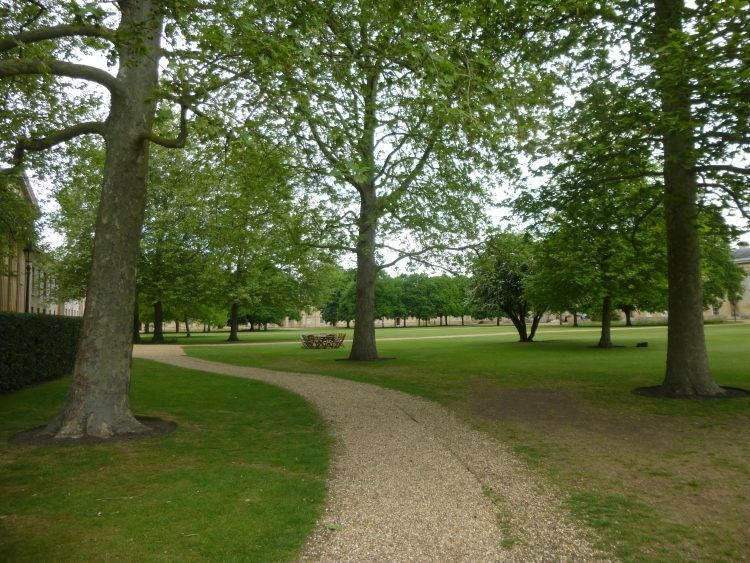 It was lovely to see both Bethany and Joe so thoroughly enjoying their time at Cambridge! Meanwhile, back in the studio, at last! – after the Festival – I’ve made a start on Fingringhoe Wick: April. Photos tomorrow!